Most of us would not be aware of the fact that the Department of Posts has been in existence for more than 150 years. The Department has touched the lives of million of Indians ever since it started its operations, right from delivering letters to their near and dear ones, enabling them to send money to their friends and relatives who stay in faraway places and even providing special schemes for investing their hard earned money. It is very appealing to know that DoP, the department of posts has been recognized as the most widely distributed postal network in the world. The department of Posts proudly boasts of having 155,000 post offices and provides employment opportunities to 474,000 people. The DOP generates annual revenue of more than EUR 1.1 billion. In the current times also more than six billion articles are safely delivered every year through the vast network of offices of the DOP. 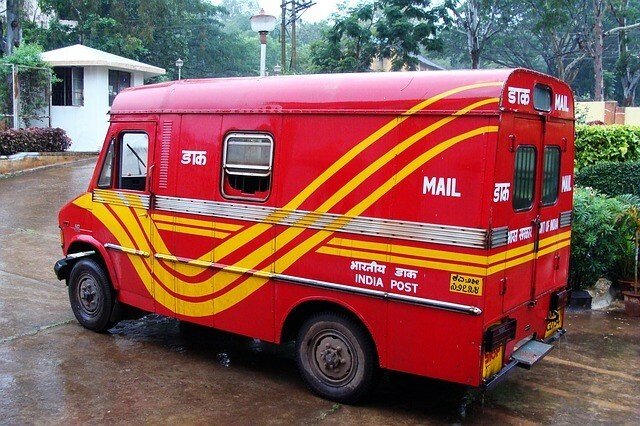 Post urbanization and after analyzing the govermement has decided to revamp the entire systems of the Indian Postal service and is keen to adopt a more aggressive approach for making their processes as well as systems more customer friendly and efficient in the Department of posts. For achieving these critical goals this there couldn’t be a better choice than SAP, which is a well known German software. By utilizing the latest technology solutions SAP intends to strengthen the organization by working on introducing automation on the core processes, laying down a strong foundation for tracking and tracing, working on the logistics, which is extremely critical and focusing more on E-commerce as well as concentrating on creating more interactive channels for customer interaction. SAP (Systems, Applications, Products in Data Processing) has come up with very innovative strategies such as, the company seeks to provide more than 30 postal customers with the SAP solution in order to provide more effective customer-facing processes and also showing more transparency in their day to day working, reduce corruption, and eliminate the presence of middlemen. The government of India also plans to utilize SAP for pensions and wage payments. The government plans to come up with strategies which will improve the network of the Direct Benefit transfer, more so in the rural areas and also works on cutting down corruption and speeding up the process of transferring benefits to eligible individuals. We all would agree to the fact that the language English is the most preferred business language in India. However very recently the government has announced that going forward all communication will take place in both Hindi and English. With this initiative SAP stands at a major advantage already as SAP already has software which supports both Hindi and English. This is a certainly going to be a win-win situation for both, the government of India as well as SAP. SAP intends to help the government of India, postal service by using various applications such as SAP Customer Relationship Management (SAP CRM) SAP ERP, and SAP Supply Chain Management (SAP SCM) for maintaining the back office operations. By using these SAP plans to increase process efficiencies and will enable the company in fulfilling their social, financial and business objectives. The SAP solutions will also be helpful in streamlining the internal processes in different spheres such as payroll processing, human resources, accounts and finance. Other software’s used by SAP for running the day to day operations would be SAP Sybase Adaptive Server Enterprise, SAP Sybase IQ, SAP Business Objects, and SAP Data Services will offer India Post the data warehousing and Business intelligence (BI). SAP does intend to transform the image of the Indian postal service and with their strategies in place the company should be able to successfully transform the face of the Department of Posts. Good piece of information. Any Idea if SAP is directly involved in implementing the solution or any IT firm from India is heading the project with SAP's solution ?